We are working together to empower individuals, strengthen families and enable communities. Our members include elementary, secondary, post-secondary and extension educators, administrators, other professionals in government, business and nonprofit sectors. Also, our members include students preparing for a career in the field of family & consumer sciences. AAFCS is one of the oldest professional societies in the United States. Founded in 1909, our purpose is to improve the quality and standards of individual and family life through programs that educate, influence public policy, disseminate information and publish research findings. The Association for Career and Technical Education is the largest national education association dedicated to the advancement of education that prepares youth and adults for careers. ACTE is committed to enhancing the job performance and satisfaction of its members; to increasing public awareness and appreciation for career and technical programs; and to assuring growth in local, state and federal funding for these programs by communicating and working with legislators and government leaders. Business Professionals of America is the leading CTSO (Career Technical Student Organization) for students pursuing careers in business management, office administration, information technology and other related career fields. 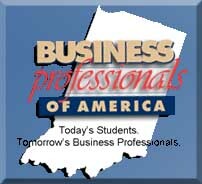 Indiana BPA has close to 2,700 members in over 90 chapters. The Workplace Skills Assessment Program (WSAP) prepares students to succeed and assesses real-world business skills and problem solving abilities in finance, management, IT and computer applications. 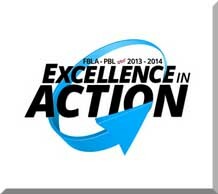 Visit the national BPA web site for additional information. Mission Statement: The mission of Business Professionals of America is to contribute to the preparation of a world-class workforce through the advancement of leadership, citizenship, academic, and technological skills. Vision: At Business Professionals of America, we are committed to developing the best possible career and technical education organization for students in the United States. 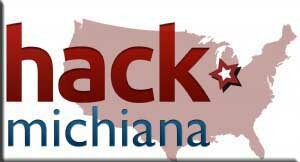 The measure of our success will be the perception that alumni of Business Professionals of America are highly competent and skilled workforce professionals who enable business and industry to maintain the economic vitality and high quality of life associated with our celebrated United States of America. Many professional organizations and partners play an important role in delivering Indiana's Career and Technical Education programs by helping teachers keep up to date with content and best practices. 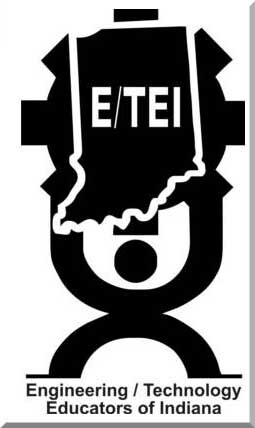 The Engineering/Technology Educators of Indiana (E/TEI) is the premier professional organization for K-12 and Post-Secondary Engineering and Technology Educators (E/TEI). E/TEI is closely aligned with International Technology and Engineering Educators Association (ITEEA), which is the leading International Professional Organization. 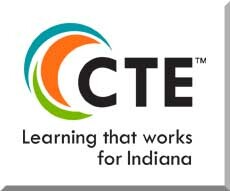 E/TEI also works diligently with the Indiana Department of Education (IDOE), Indiana Department of Workforce Development (IDWD), Indiana Association of Career and Technical Educators (IACTE), and the Indiana Career and Technical Education Districts (IACTED) to provide the best opportunities for its members. E/TEI members and leadership team continue to be involved at the local, state, national, and international level. The largest and oldest business student organization in the world! A quarter of a million high school and middle school students, college and university students, faculty, educators, administrators, and business professionals have chosen to be members of the premier business education association preparing students for careers in business. The Future Educators Association offers programs designed to help students develop the leadership skills necessary for a successful career in education. Among these programs are the FEA Honor Society, which recognizes students and chapters that have met high standards for academic and personal achievement, and national student officer positions, which provide students with opportunities for input during event and program development. Serving future health professionals since 1976, HOSA was created with the idea of providing students opportunities to develop as a leader and a future employee. With over 140,000 members across the nation, it is safe to say that HOSA has met our mission! HOSA creates driven, determined student leaders that are excited about healthcare and all that HOSA has to offer. Above all, HOSA is a tool-a tool vital to the success of students, teachers, and health professionals. HOSA is 100% healthcare and connects all hubs of the healthcare field. One experience ignites another creating a chain reaction between those who teach, learn, and do. HOSA operates as an integral component of the health science education curriculum. Through its network of state and local chapters, HOSA provides powerful instructional tools, recognition, leadership, networking, scholarships, and connections to the healthcare industry to thousands of members across the United States. Through the HOSA Competitive Events Program, members can compete in teams or as individuals in over 55 different events related to all aspects of the health care industry. HOSA integrates into the Health Science Technology Education curriculum to develop and recognize smart, dedicated, and passionate future health professionals. 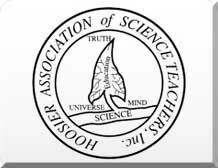 Hoosier Association of Science Teachers inc.
Michiana is part of their Districts 1 & 2. Participate in the annual conference, which is now attended by over 2000 science educators annually! Keep aware of upcoming meetings, institutes, and workshops of interest to science educators, K-16. The organization conducts a contest yearly in which students can compete in order to awarded best in the state in several different broadcast related categories. If you are at a school that is working with audio and video and you are not already a member please contact the IASB board. NBEA Scholarship Opportunities: Each year, NBEA awards two $1,000 scholarships to individuals pursuing continuing education or graduate study in business education. The scholarships recognize and support educators who give evidence of leadership and scholarship potential in the field of business education. The NBEA Scholarship Program provides financial assistance to outstanding individuals for the purpose of continuing their study and professional development in business education. Science Olympiad a non-profit organization dedicated to improving the quality of K-12 science education, increasing male, female and minority interest in science, creating a technologically-literate workforce and providing recognition for outstanding achievement by both students and teachers. These goals are achieved by participating in Science Olympiad tournaments and non-competitive events, incorporating Science Olympiad into classroom curriculum and attending teacher training institutes. 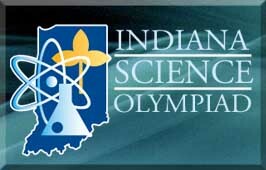 Indiana Science Olympiad is a State level organization which operates independently of Science Olympiad. Because of the history and nature of Science Olympiad, the function of the two entities, Science Olympiad and Indiana Science Olympiad, is interdependent. For the past 27 years, Science Olympiad has led a revolution in science education. What began as a grassroots assembly of science teachers is now one of the premiere science competitions in the nation, providing rigorous, standards-based challenges to nearly 6,000 teams in 49 states. Science Olympiad's ever-changing lineup of events in all STEM disciplines provides a variety of career choices and exposure to practicing scientists and mentors. Recognized as a model program by the National Governors Association Center for Best Practices, Science Olympiad is committed to increasing global competitiveness for the next generation of scientists. All Science Olympiad events are aligned with current National Science Standards set by the National Research Council. Teachers seeking curriculum resources that illustrate standards in action have found success with Science Olympiad because it emphasizes the close relationship between teaching and assessment. Science Olympiad highlights many of the elements of Teaching Standards, Assessment Standards, Program Standards, and Science Education System Standards. IUSB MIS Club for Graduate and Undergraduate Students of IUSB. To complement its members' formal education with exposure to "real-world" issues within the field of Management Information Systems. We integrate advancement of science and technology, adherence to ethical norms that uphold human dignity, and development of sound policy for the common good. Located at Notre Dame. HistoryThe University’s John J. Reilly Center for Science, Technology, and Values was established in 1985. It is named for the father of an alumnus whose gift created the initial endowment for the center. The center’s first academic initiative, an undergraduate minor Program in Science, Technology, and Values, was launched in 1986 with the aid of a three-year start-up grant from the National Endowment for the Humanities. Since then the Reilly Center has received external financial support for many programs and activities from the National Science Foundation as well as the NEH. In addition, the Lilly Endowment, the Hazen Endowment for Excellence, the Templeton Foundation, and the former GTE Foundation have also generously supported the work of the center. MissionWe integrate advancement of science and technology, adherence to ethical norms that uphold human dignity, and development of sound policy for the common good. We bring different disciplinary perspectives to the examination of conceptual, ethical, and policy issues related to science and technology. We pursue our mission through education, research, and outreach in a Catholic context. 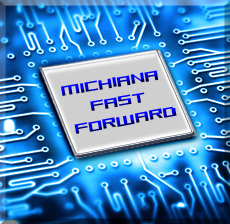 Description: Monthly educational lunch forums for IT professionals in the Michiana area. 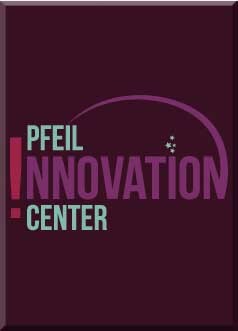 The Pfeil Innovation Center in South Bend, Indiana is helping for-profit and non-profit organizations develop Innovation as a core competency. Named in honor of Indiana entrepreneur, innovation pioneer and visionary businessman Richard J. Pfeil, the Center opened March 2011, and to date, more than 500 enthusiastic thinkers from over 60 future-minded organizations are inspired to innovate daily after attending one of the Center's two-day Innovation Leadership Immersions. Indiana University-Purdue University Indianapolis (IUPUI) is an urban research and academic health sciences campus, with 22 schools and academic units granting degrees in more than 200 programs from both Indiana University and Purdue University. IUPUI was created in 1969 as a partnership between Indiana and Purdue universities, with IU as the managing partner. IUPUI is IU’s home campus for programs in medicine, law, dentistry, nursing, health and rehabilitation science, and social work and extends its program offerings through IUPU Columbus. With more than 29,000 students, IUPUI is the third-largest campus in the state of Indiana. IUPUI offers college credit, 100-level Biology, to any high school student who applies and passes the national assessment at a stanine of 6 or higher and matriculate to IUPUI. Stanines of 6 or 7 will be qualified for a B, while stanines of 8 or 9 will qualifiy for an A. 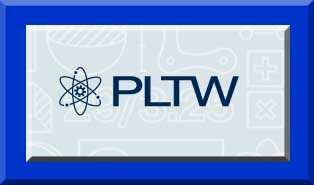 There are three PLTW Biomedical Sciences IUPUI coursework certification track options at IUPUI. The cost to the student will be $25 per credit hour ($75 for the course). Science Education Foundation of Indiana Inc.
SEFI is a not-for-profit organization whose purpose is to encourage and assist young people to become scientists and engineers and to practice their professions in Indiana. The membership of the Board of Directors is composed of volunteers from industry, the not-for-profit sector, and academia who are committed to enhancing science education in Indiana. Our mission statement is embodied in deliverable outcomes. Specifically, the youth of our state are encouraged and assisted through the following activities. Although SEFI is not a household word in Indiana, we are well acquainted with the over 1,000 Indiana students who were sent by our organization to the International Science Fair over a 30-year period. A recent survey of previous fair alumni revealed that many of these young adults are practicing their professions here in Indiana. SEFI is a solid foundation investing in Indiana's future. Being a 501(c)(3) not-for-profit Indiana corporation, SEFI maintains a financial structure which supports the International fair travel of the 26 state finalists, their teachers, and Regional Science Fair Directors. The trust department at Bank One, Indianapolis, Indiana provides professional investment management for our portfolio. Our mission is also dependent upon a continuing corporate and individual philanthropy program to support the growing Hoosier Science and Engineering Fair and the achievement programs. Reaching our goals will strengthen science education in Indiana, and create linkages and opportunities for Indiana companies. Society for Science & the Public (SSP) is a nonprofit 501(c) (3) membership organization dedicated to public engagement in scientific research and education. Our vision is to promote the understanding and appreciation of science and the vital role it plays in human advancement: to inform, educate, and inspire. Since 1921, SSP (formerly known as Science Service) has conveyed the excitement of science and research directly to the public through its award-winning publications and world-class science education competitions. In 2013, SSP launched a new website that unifies our award-winning publications with our science education and competition programs. Our new flagship website is one of a series of bold new steps we are taking across the organization to better fulfill SSP’s mission. he Intel International Science and Engineering Fair (Intel ISEF), is the world’s largest international pre-college science competition, providing an annual forum for more than 1,600 high school students from over 70 countries, regions, and territories to showcase their independent research and compete for more than $4 million in awards. Today, millions of students worldwide compete each year in local and school-sponsored science fairs; the winners of these events go on to participate in SSP-affiliated regional and state fairs from which the best win the opportunity to attend Intel ISEF. 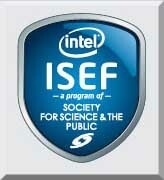 SSP partners with Intel—along with dozens of other corporate, academic, government and science-focused sponsors—who provide the support and awards for Intel ISEF. Intel ISEF is hosted each year in a different city (Los Angeles, Pittsburgh and Phoenix through 2019). The Local Arrangements Committees from each city partner with SSP and Intel to provide support for the event including the recruitment of 100s of volunteers and judges and in organizing an education outreach day in which more than 3,000 middle and high school students visit. 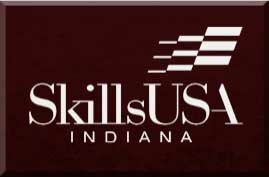 SkillsUSA is an applied method of instruction for preparing America’s high performance workers enrolled in public career and technical programs. It provides quality education experiences for students in leadership, teamwork, citizenship and character development. It builds and reinforces self-confidence, work attitudes and communications skills. It emphasizes total quality at work—high ethical standards, superior work skills, life-long education, and pride in the dignity of work. SkillsUSA also promotes understanding of the free-enterprise system and involvement in community service. The non-profit organization is in Seattle, Washington but Startup Weekend organizers and facilitators can be found in cities around the world. From Mongolia to South Africa to London to Brazil, people around the globe are coming together for weekend long workshops to pitch ideas, form teams, and start companies. Who Are TSA Members?The Technology Student Association (TSA) is the only student organization devoted exclusively to the needs of students interested in technology. Open to students enrolled in or who have completed technology education courses, TSA’s membership includes over 190,000 middle and high school students in over 2,000 schools spanning 49 states. TSA is supported by educators, parents and business leaders who believe in the need for a technologically literate society. Members learn through exciting competitive events, leadership opportunities and much more. The diversity of activities makes TSA a positive experience for every student. From engineers to business managers, our alumni credit TSA with a positive influence on their lives. ChaptersTSA chapters take the study of STEM (science, technology, engineering, mathematics) beyond the classroom and give students the chance to pursue academic challenges among friends with similar goals and interests. Together, chapter members work on competitive events, attend conferences on the state and national levels and have a good time raising funds to get there. Chapter organization develops leadership, as members may become officers within their state and then run nationally. Our chapters are committed to a national service project and are among the most service-oriented groups in the community.